Diabetic coma is a state of unconsciousness resulting from critically high /hyperglycemia/ or critically low /hypoglycemia/ blood sugar levels in people with diabetes. When a person is in a diabetic coma he/she does not respond to acoustic, visual, and other types of stimulation of the senses. To determine the cause of the diabetic coma, a blood sugar test is performed to determine whether this condition is due to high or low blood sugar levels. Prior to a diabetic coma, the patient may experience various symptoms depending on the blood sugar levels. In the case of hypoglycemia, the symptoms include anxiety, nervousness, shakiness, fatigue, weakness, hunger, nausea, dizziness, confusion, speaking troubles, sweating. In the case of hyperglycemia, the symptoms include frequent urination, thirst, stomach pain, dry mouth, shortness of breath, fruity breath odor, nausea, vomiting, fatigue, rapid heartbeat. Causes of diabetic coma include diabetic ketoacidosis, diabetic hyperosmolar syndrome, and hypoglycemia. Diabetic ketoacidosis is a serious condition in people who suffer from diabetes. When the body does not have enough insulin, it breaks down fatty deposits. In this process, fatty acids form ketones, leading to different complications, including diabetic coma. Diabetic hyperosmolar syndrome occurs when blood sugar levels are above 600 mg/dL. When blood sugar reaches this concentration the blood becomes syrupy and thick. The excess sugar is excreted from the body with the urine, which leads to withdrawal of fluids from the body and causes dehydration and unconsciousness. In the case of diabetic coma, emergency medical help is needed. The treatment depends on the cause of the diabetic coma. In the case of hyperglycemia, the treatment includes sodium, potassium, and fluids, to treat dehydration, and insulin to reduce the blood sugar levels. In the case of hypoglycemia, the treatment includes dextrose or glucagon injection to increase the blood sugar levels. Wear a medical ID bracelet. Insulin shock is the response of the body to a decrease in the blood sugar level (hypoglycemia), caused by too much insulin. 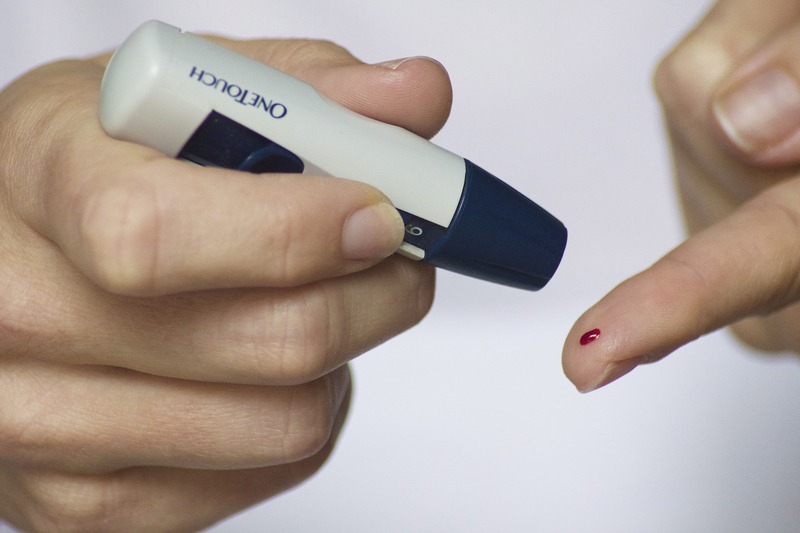 Symptoms of insulin shock occur when the blood sugar levels are below 70 mg/dL. The low blood sugar level triggers the body to release adrenaline, which causes the early symptoms of insulin shock. It is necessary to slowly and carefully raise the blood sugar level. The sugar levels can be increased by taking glucose tablets or small amounts of carbohydrates via food and beverages (for example 100 ml of regular, non-diet soda, a cup of milk or a tablespoon of honey or sugar). If the blood sugar levels are still dangerously low, injectable glucagon can be applied. Diabetic Coma: Diabetic coma is a state of unconsciousness resulting from critically high or critically low blood sugar levels in people with diabetes. Insulin Shock: Insulin shock is the response of the body to a decrease in the blood sugar level, caused by too much insulin. Diabetic Coma: When a person is in a diabetic coma he/she does not respond to acoustic, visual, and other types of stimulation of the senses. Prior to a diabetic coma, the patient may experience various symptoms depending on the blood sugar levels. In the case of hypoglycemia, the symptoms include anxiety, fatigue, weakness, hunger, nausea, dizziness, confusion, sweating, etc. In the case of hyperglycemia, the symptoms include frequent urination, increased thirst, dry mouth, shortness of breath, fruity breath odor, nausea, fatigue, rapid heartbeat, etc. Insulin Shock: The most common symptoms of insulin shock include feeling nervous, anxious, shaky, dizzy, irritable, confused, sleepy or clumsy; heart palpitations, weakness, headache, impaired or blurred vision, sweating, chills, clamminess, numbness or tingling in the cheeks, lips or tongue, nausea, etc. Diabetic Coma: Causes of diabetic coma include diabetic ketoacidosis, diabetic hyperosmolar syndrome, and hypoglycemia. Insulin Shock: Insulin shock occurs when the blood sugar levels are below 70 mg/dL. Diabetic Coma: In diabetic coma, the treatment depends on its cause. In the case of hyperglycemia, the treatment includes sodium, potassium, fluids, and insulin. In the case of hypoglycemia, the treatment includes dextrose or glucagon injection to increase the blood sugar levels. Insulin Shock: The insulin shock can be treated by taking glucose tablets or small amounts of carbohydrates via food and beverages (non-diet soda, milk, honey, etc. ), injectable glucagon. Diabetic Coma: In order to prevent diabetic coma it is necessary to monitor the blood sugar levels, be aware of the early signs of diabetic coma, take medications as prescribed, always have glucose tablets or candies on hand, check for ketones when blood sugar is high, minimize alcohol consumption, inform friends and family members how to identify the signs of a diabetic coma and how to react, wear a medical ID bracelet, regularly visit a doctor. Insulin Shock: In order to prevent insulin shock it is necessary to monitor the blood sugar levels, be aware of the early signs of insulin shock, take medication as prescribed, consume smaller meals throughout the day, always have glucose tablets or candies on hand, inform friends and family members how to identify the signs of insulin shock and how to react, wear a medical ID bracelet, regularly visit a doctor. Diabetic coma is a state of unconsciousness resulting from critically high or critically low blood sugar levels in people with diabetes. 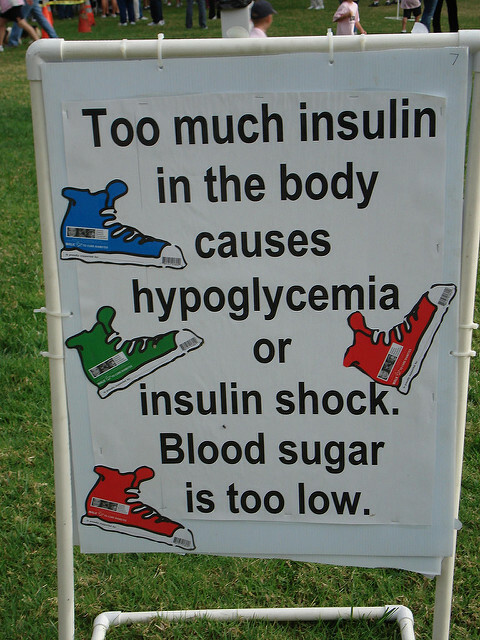 Insulin shock is the response of the body to a decrease in the blood sugar level, caused by too much insulin. When a person is in a diabetic coma he/she does not respond to acoustic, visual, and other types of stimulation of the senses. Prior to a diabetic coma, the patient may experience various symptoms depending on the blood sugar levels. The most common symptoms of insulin shock include feeling nervous, anxious, shaky, dizzy, irritable, confused, sleepy or clumsy, heart palpitations, weakness, headache, impaired or blurred vision, sweating, chills, clamminess, numbness or tingling in the cheeks, lips or tongue, nausea, etc. Causes of diabetic coma include diabetic ketoacidosis, diabetic hyperosmolar syndrome, and hypoglycemia. Insulin shock occurs when the blood sugar levels are below 70 mg/dL. In the case of diabetic coma, the treatment depends on its cause and aims to reduce or increase the blood sugar levels. The insulin shock can be treated by taking glucose tablets or small amounts of carbohydrates via food and beverages, injectable glucagon. Dr. Mariam Bozhilova Forest Research Institute, BAS. "Difference Between Diabetic Coma and Insulin Shock." DifferenceBetween.net. January 29, 2019 < http://www.differencebetween.net/science/health/difference-between-diabetic-coma-and-insulin-shock/ >. Holt, R., C. Cockram, A. Flyvbjerg, B. Goldstein. Textbook of Diabetes. Hoboken: John Wiley & Sons. 2011. Print. Rubin, A. Diabetes For Dummies. Hoboken: John Wiley & Sons. 2012. Print. Weiner, S. L. Josel. The Complete Diabetes Organizer. Ann Arbor: Spry Publishing. 2013. Print.